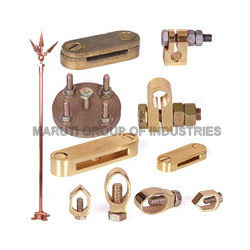 Leading Manufacturer of brass connector, brass fasteners, brass gas parts, brass u bolt and lightning arrester from Jamnagar. 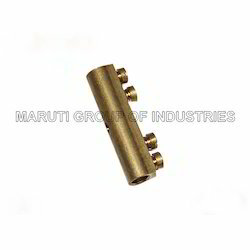 Meeting the demands of clients as a manufacturer, supplier and exporter, we are engaged in offering our clients with Brass Connector. 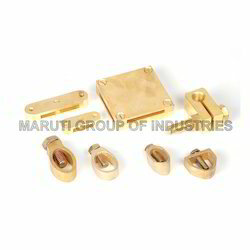 Precision-engineered, these connectors are developed in adherence with the international quality standards to attain highest benchmarks of quality. 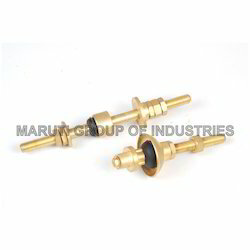 In order to meet the specific requirements of customers, we provide customization facility for these connectors. With the support of our diligent workforce, we have been able to manufacture, supply and export a broad series of Brass Fasteners. Our offered fasteners are developed to precision under the expert guidance of skilled professionals who hold extensive knowledge of this domain. These professionals make use of optimum quality brass in the manufacturing process to ensure seamless finishing. 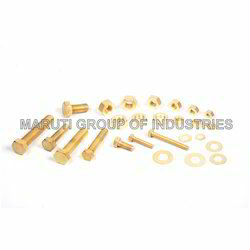 Driven with perfection, we are engaged in manufacturing, supplying and exporting Brass U Bolt. The range we offer is made in compliance with the international industry norms and standards with the aid of technically advanced methodologies and amenities that are installed at our premises. Owing to the features like easy fitting and dimensional accuracy, these bolts are acclaimed in the industry by our customers. We are highly appreciated in the international market for our superior-grade Lightning Arrester. High quality material is used in the manufacturing process by our experienced engineers. Furthermore, we offer these arresters to customers at market-leading rates in variegated specifications.